Joanna P. Moore, 1832-1916 "In Christ's Stead": Autobiographical Sketches. African Americans -- Education -- History. Baptist women -- United States -- Biography. Baptists -- Missions -- United States. 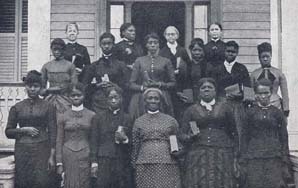 Women missionaries -- United States -- Biography. Women teachers -- United States -- Biography.